CELLULAR SHADES often referred to as Honeycomb shades are not only beautiful in appearance but are immensely practical as well. Very energy efficient, the honeycomb design is able to trap air that tones down sounds as well as effectively limiting the transfer of heat or cold. 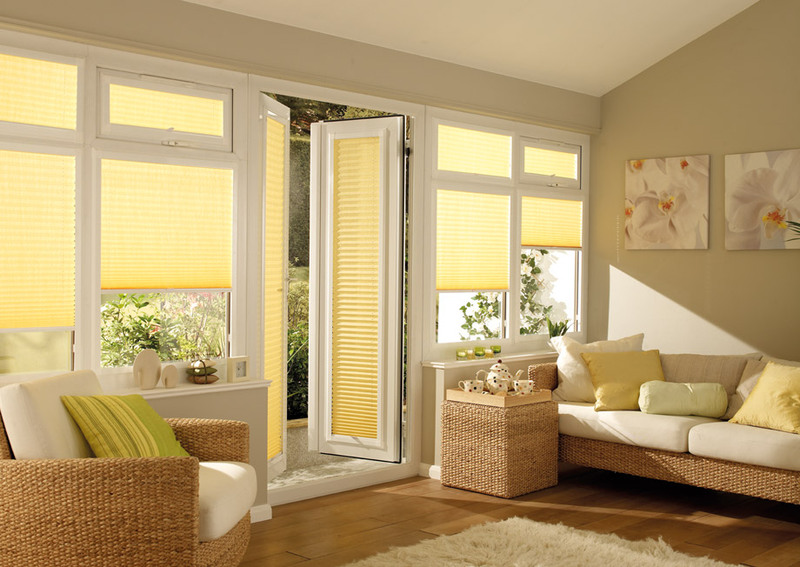 Constructed from soft to the hand fabrics that are permanently pleated in place, they are available in both light filtering and blackout lined options. In addition, there is the Day / Night option which you can view in our showroom. A modern version of the drapery & sheers combination, it is in essence two blinds in one. The top section is your choice of a sheer fabric that pulls down for filtering daytime light and the lower section which is drawn upward covering the window for complete privacy and insulation at night. A contemporary and great looking option for both Patio Doors and large window expanses, Cellular Shades are available in a vertical design, gliding open from side to side or opening in the center just like drapery. These beautiful window coverings are hand drawn making them both child and pet friendly. PLEATED SHADES are also created from soft to the hand, permanently pleated fabrics and form attractive Accordion folds either with Light Filtering or Room Darkening liners that are neutral in colour to the street. 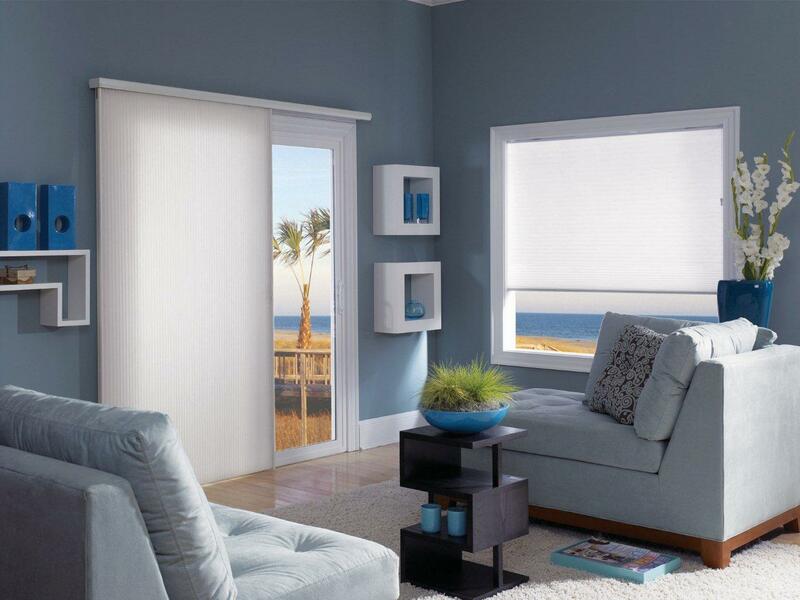 Easy to install and of excellent value, Pleated Shades beautifully fulfill the desires of fashion and budget. Top Down Bottom Up shades are available in both Cellular and Pleated Shades. In your home or office, they are the perfect solution to enjoying the outdoor vistas and having privacy at the same time. 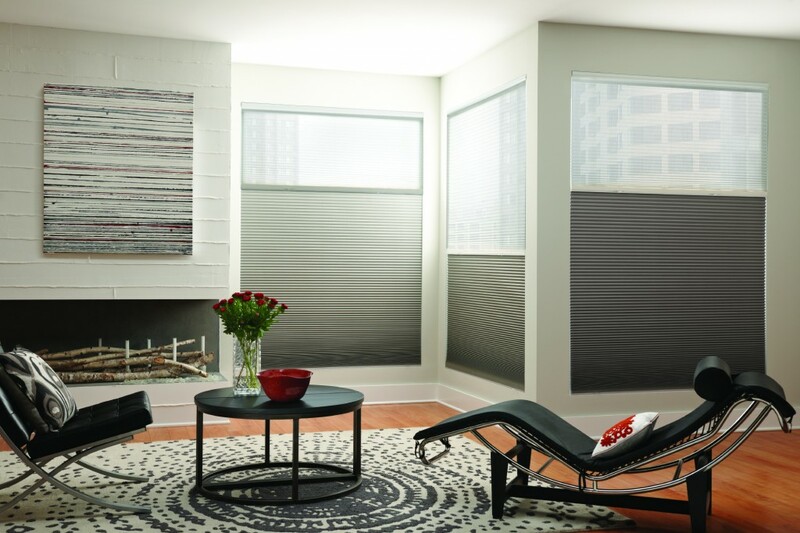 Use these two styles of blinds for your French doors and if cords are not to your liking, they can be ordered in Cordless or Motorized options. For Skylights, Pleated & Cellular Shades can be run on side tracks effectively controlling light and heat in these overhead windows.